← How much is a conference contribution worth? It will be a short blog post today – gotta have those days too… did I complain the other day about the never ending work of academics, grading exams over the weekend and reviewing papers late at night? 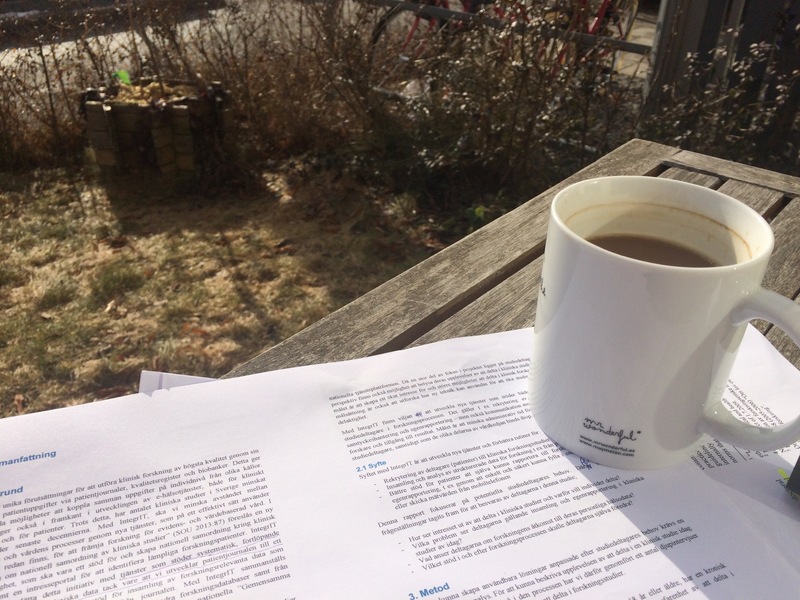 Well, today I celebrate the flexibility of #academiclife and read reports in the spring sun, with my coffee. This means my daughter come straight home from school at 2 pm, and we can cook dinner together without stress. Each coin has two sides, so does the flexibility of academic life. Jag har ju varit med blogg ett tag, men endast uppdaterat sporadiskt. Försöker göra något åt det nu!